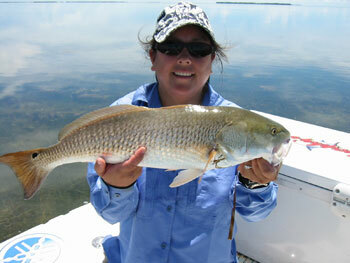 Inshore Fishing Charter Tierra Verde, FL - Are You Into Inshore? The warm, shallower waters inshore provide homes for many fish year-round. For many small and medium size game fish, inshore waters are where they choose to spawn and lay their eggs. Here the naturally warmer temperatures act as an incubator for the eggs and young fish. Our professional captains know where these fish like to frequent and how to spot them from the boat so you'll be certain to get a bite on your line. Monster Charters is pleased to supply you with all necessary equipment you'll need for a successful day on the inshore waters of our coastal paradise. Just bring a cooler, and a little sunscreen, and hop on board for a day of fun and fish! 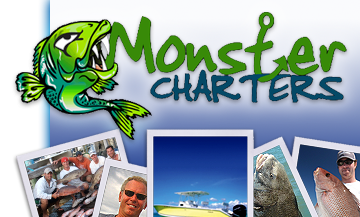 Contact Monster Charters today to get more information on book an inshore fishing charter Tierra Verde, FL style.